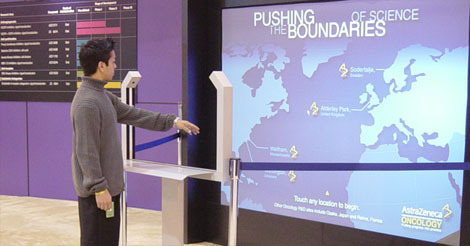 This solution allows the user to stand from a distance and interact with a large screen by pointing alone. Used in retail spaces, lobbies, museums and exhibits attracting an immediate interest for consumers. This is a portable unit that allows for ease of movement and set-up at tradeshows and travelling exhibits.